The Dallas Cowboys report to training camp next week, and for the first time in a long time there may be more excitement for their defense compared to a largely reshuffled offense. 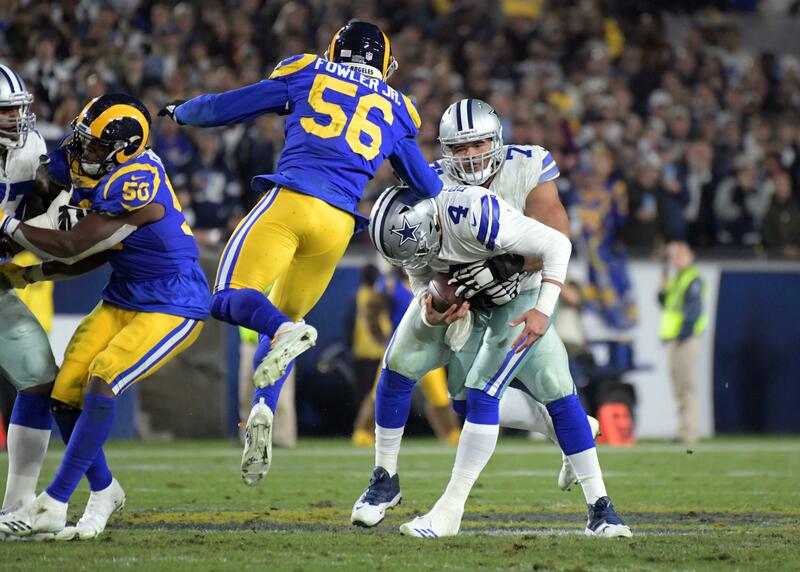 This hype for Rod Marinelli's defense, bolstered by the addition of Passing Game Coordinator Kris Richard, was elevated earlier in the week when the Cowboys learned Defensive End Randy Gregory would be reinstated. Gregory's presence as a potential starting right defensive end is an uplifting one for the Cowboys as they depart for Oxnard. Above all else, this is a rare turn of fortunes for a player the NFL can now tote as a success story. Once Gregory's focus shifts towards taking hold of that starting DE position for good and giving the Cowboys a pass rush of him and DeMarcus Lawrence off the edge, his impact could change the entire complexion of this defense. After watching Gregory's last game for Dallas, a week 16 win in Philadelphia back in 2016, here is what I saw from the Cowboys "Christmas in July" addition to their defensive line. This first clip is probably Gregory's most memorable play through three seasons with the Cowboys. Two teams going in opposite directions since this game, the Cowboys have cycled through their rotation of pass rushers to play the weak side -- with nobody coming close to the athleticism and bend Gregory displays here. Already planning on attacking the offensive tackle to the outside with his long arm approach, Gregory regains his balance avoiding the low block to get even with Carson Wentz and finish the play. This type of relentlessness is a signature of the Cowboys defense under Marinelli, now fielding a deep group of defensive ends around Gregory and Lawrence. Just how much Gregory comes off the field for the likes of Tyrone Crawford, rookie Dorance Armstrong, Charles Tapper, or Taco Charlton will be determined by his ability to hold up against the run. This was a strength for Gregory against the Eagles, as his cornering ability helped him chase down plays all over the field. It's hard to understate just how important Gregory's speed and range from this RDE spot could mean to the Cowboys, especially given their changes at linebacker for the 2018 season. 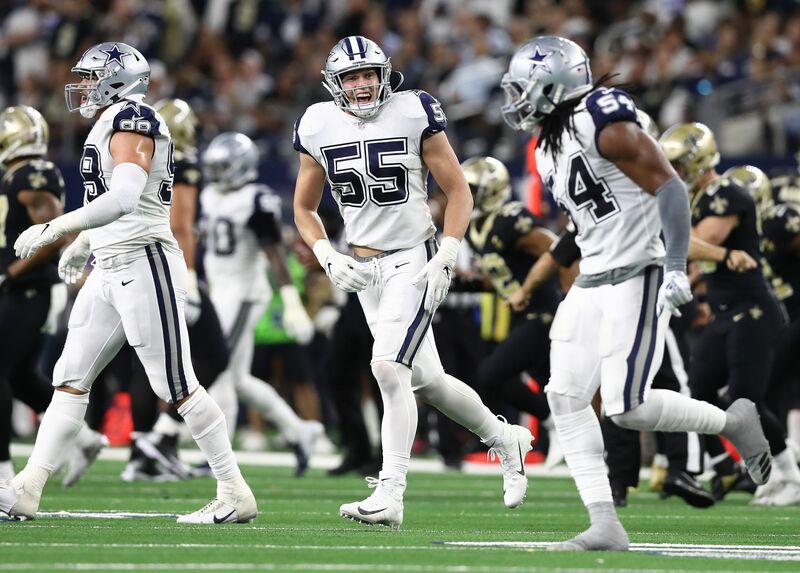 This is a team that's also added plenty of range to the second level of their defense with rookie Leighton Vander Esch and another year of Jaylon Smith. These linebacker's ability to shoot gaps and be disruptive in the backfield will be aided by the depth Gregory is capable of gaining with ease against left tackles. 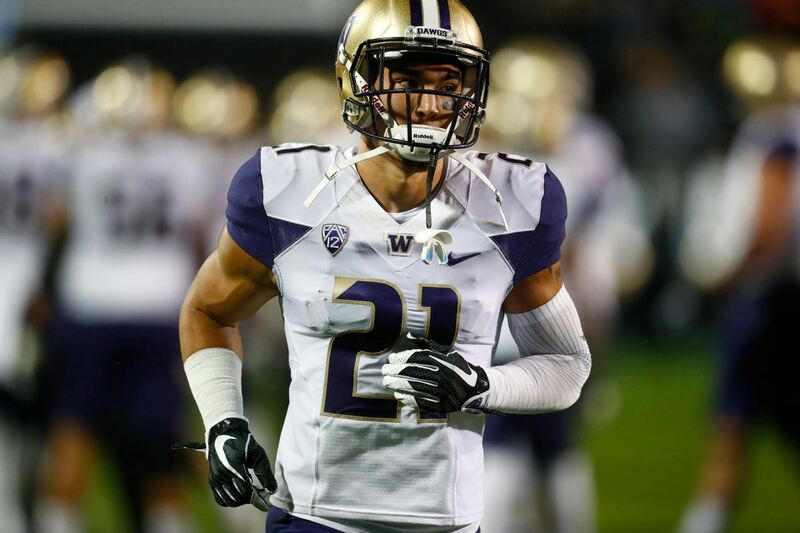 Gregory does have a tendency to play upright at times and offer a larger blocking area than needed. As you see above, this can help him as an all-around player, as chasing down the run to the outside comes easy for him. The Cowboys won't be at full strength at defensive tackle to start the season, with David Irving suspended for the first four games again. Maliek Collins is also coming back from another broken foot, as him and Gregory will be important to watch progress through training camp. The overall potential for a Cowboys defensive line featuring all three of these players, and the rotational pieces behind them, is incredibly high for a team just looking to get back to their roots this season. For the Cowboys in 2018, this means running the ball effectively, limiting turnovers on offense, and protecting the lead on defense. Randy Gregory significantly helps the Cowboys do the latter here, improving an already fearsome pass rush in ways that few players are capable of. This is ultimately why the first-round talent fell to the second round for the Cowboys, who took the risk on Gregory and are now on the long path back towards seeing this gamble pay off, something a very thankful Gregory must see through on the field. Tell us what you think about "Sean’s Scout: Measuring Randy Gregory’s Impact on Cowboys Defense" in the comments below. You can also email me at Sean.Martin@InsideTheStar.com, or Tweet to me at @SeanMartinNFL! 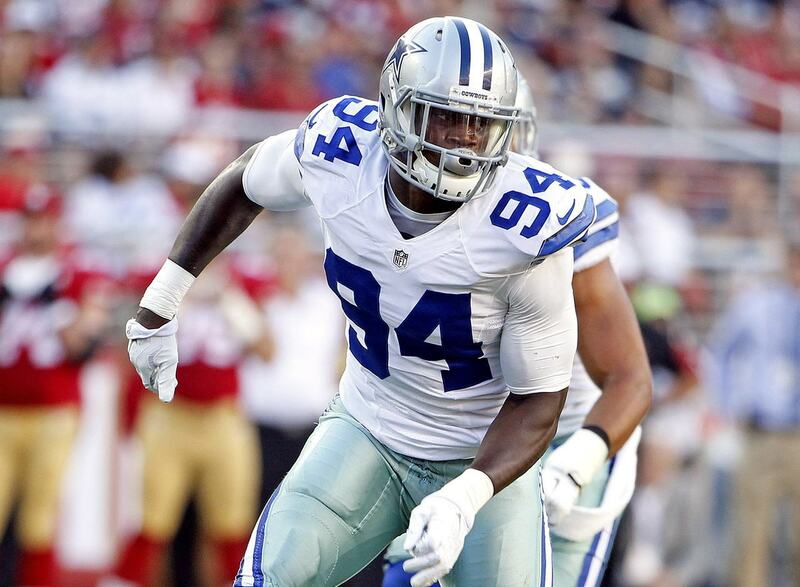 Will the Cowboys Faith in Randy Gregory Pay Off?